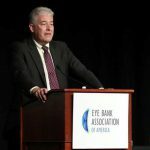 The results of these studies were recently presented at this year’s EBAA (Eye Bank Association of America) conference during the Scientific Symposium, a series of presentations showcasing the results of scientific studies conducted by students, physicians and others associated with eye banks like ours. Several leaders from Miracles In Sight had the pleasure of attending. Here are brief descriptions of the studies, their results, and the significance of those results. In 2015, more than 6,000 corneas released for transplantation ended up expiring because of the inability to place them. This represents a waste of time and money for eye banks, a disappointment for donor families, and a loss of opportunity for international locations needing eye tissue. We wanted to know why. To help eye banks tailor their recovery process and management of tissues, and better understand U.S. surgeons’ selection criteria for ordering corneas for transplantation as it relates to EBAA standards, we invited cornea surgeons to participate in an anonymous online survey. Eye banks across the country are reporting that surgeons are becoming more selective. They want younger donors, a shorter death to preservation time (D-P), shorter death to surgery times, and higher endothelial cell densities (ECD). The minimum ECD per EBAA standards is 2,000 cell/mm2, yet the surgeons are looking at 2,500, 2,800 or even 3,000. However, the results of the study do not support the experience that eye banks are reporting. The study needs to be continued with a larger sample size as it may provide the ophthalmology community a different perspective as it relates to tissue selection, and give eye banks a better understanding of surgeons’ needs across the country. 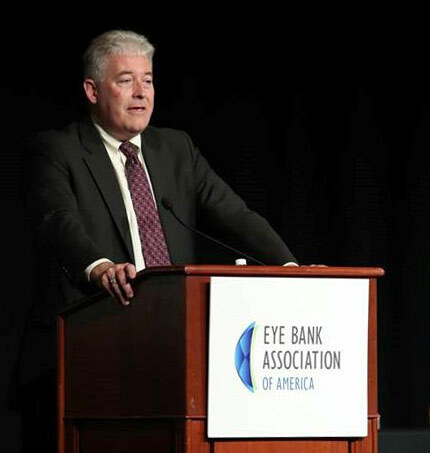 As we continue to assess and understand the surgeons’ needs, eye banks can look to perform more “responsible recoveries,” meaning limit the number of donors to best meet their needs and look at increasing international outlets. Moving forward, we must now answer the question: how do we, as eye banks, best communicate and understand our surgeons’ needs and wants, then incorporate that into our practices to improve efficiencies? Physicians now have two options for testing donor tissue sustainability: Slit Lamp Examination (SLE), and Optical Coherence Tomography (OCT). SLE has been the classic method of evaluating donor corneas for transplant suitability. The examination allows us to scrutinize each layer of the cornea (epithelium, Bowman’s membrane, stroma, Descemet’s membrane and endothelium) for abnormalities or other findings that may limit the utility of the cornea. SLE estimations of the depth of corneal scars or lesions are subject to interpretation. OCT is a relatively new way of analyzing corneas to eye banking and we are interested in learning whether OCT can provide additional, useful information to better the cornea evaluation process. In two separate studies, we compared the use of SLE and OCT to evaluate the estimation of lesion depth in donor corneas. We found that OCT is able to locate corneal opacities but was unable to provide further information than what was assessed during the SLE evaluation. SLE remains the gold standard in this examination process and is more cost effective than OCT.
Further work and exploration is needed with the use of OCT in assessing donor corneas for transplant suitability. In the future, OCT may provide a greater level of detail to corneal opacities that will help eye banks “rule-in” donor tissue and will, in turn, allow more corneas to be transplanted. Studies such as these are vital to expanding both our knowledge and capabilities, and they are only possible through collaboration with the professionals we serve. We are grateful to partner institutions who collaborated with us in these research projects. With these partnerships, our goal is to support and invest in cutting edge research that will help us better develop procedures and therapeutics that benefit both patients and providers.